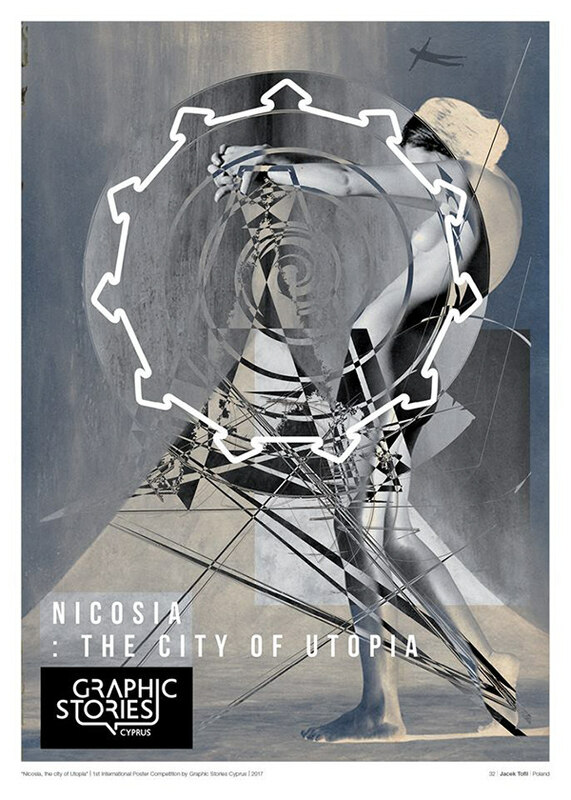 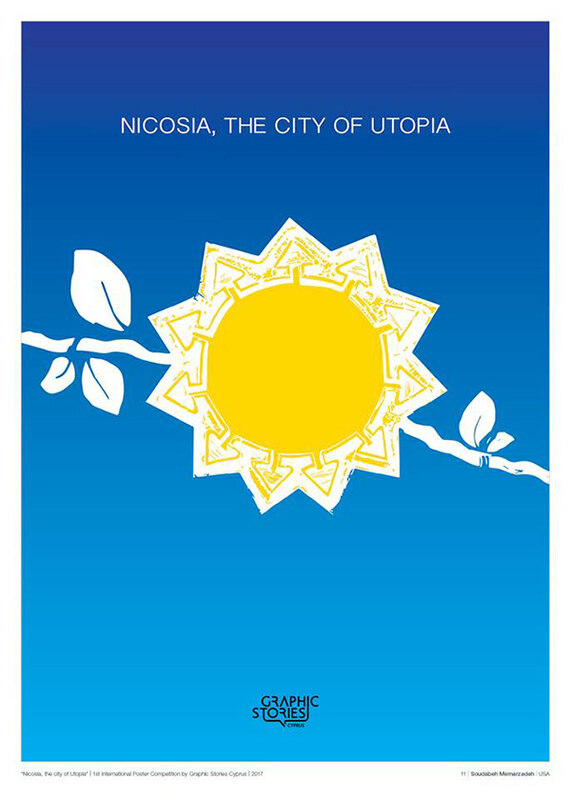 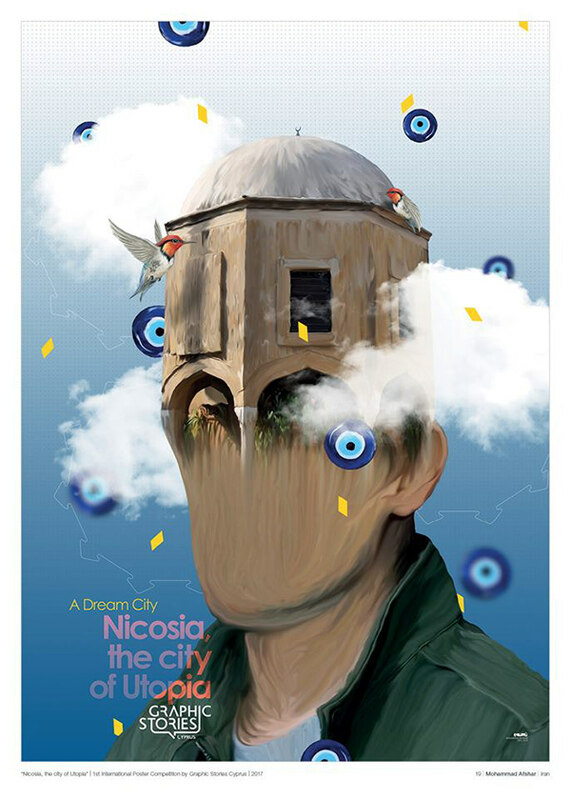 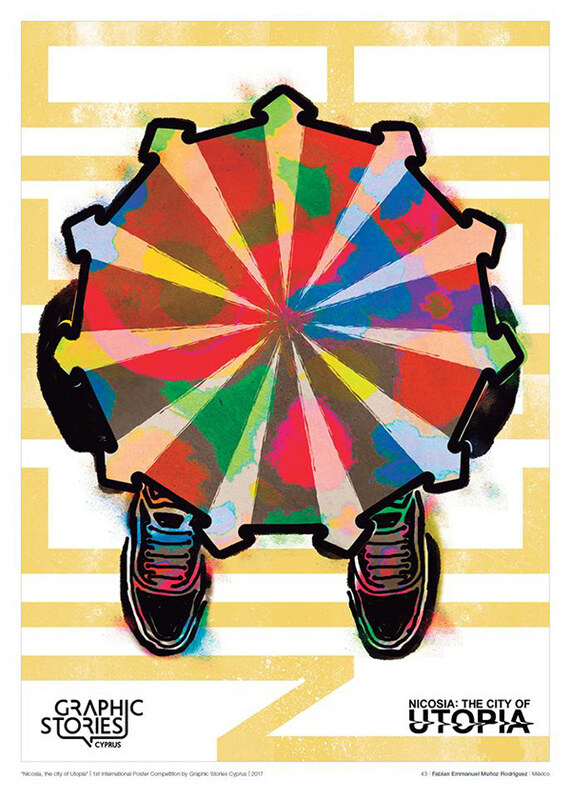 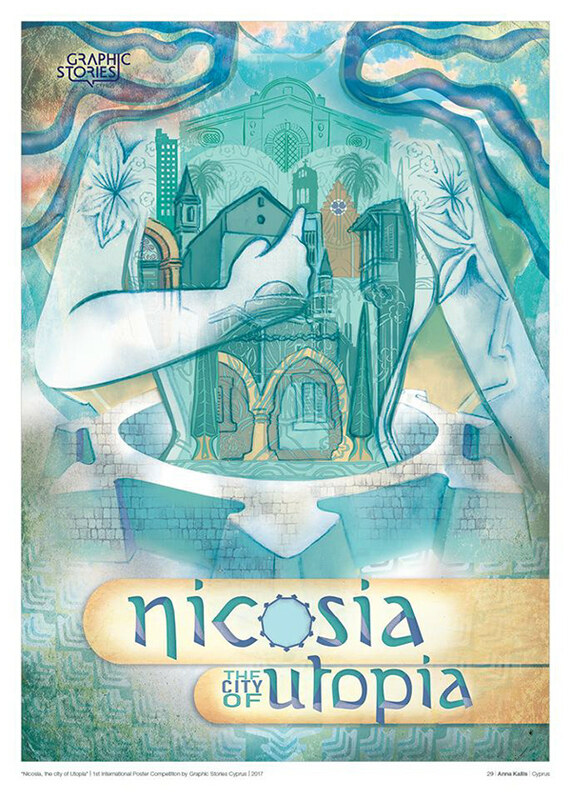 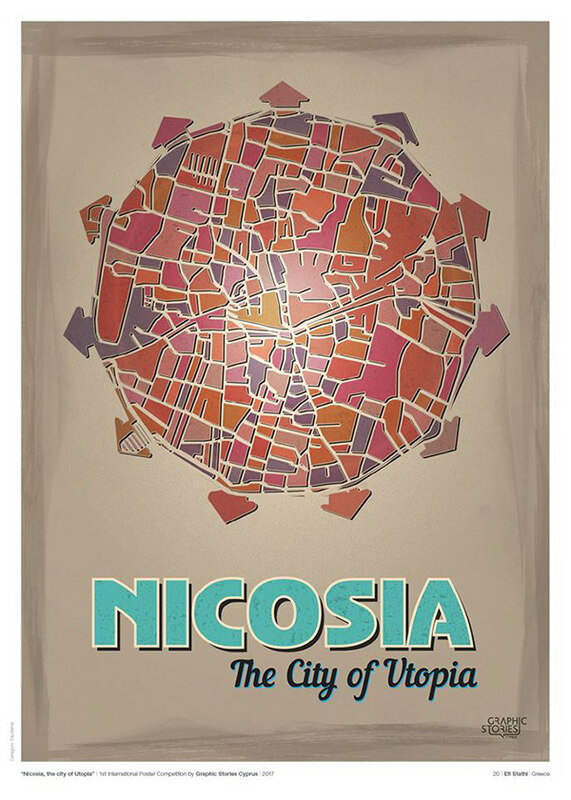 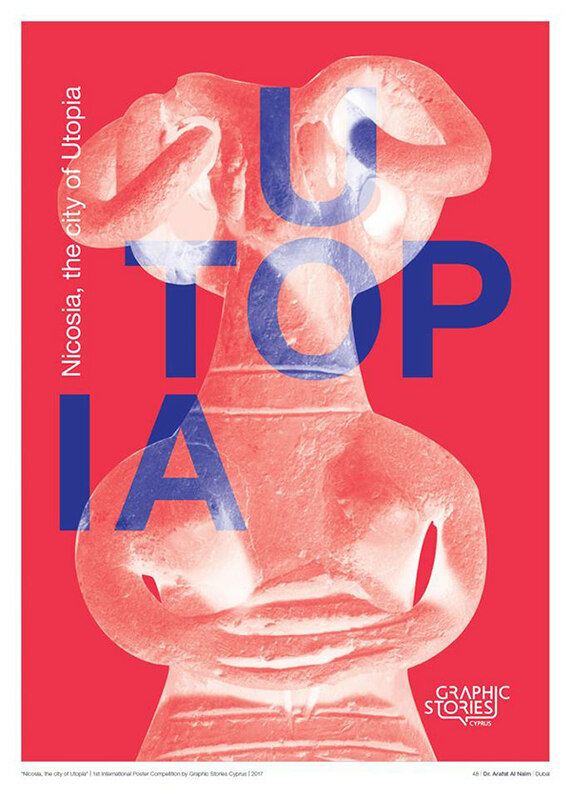 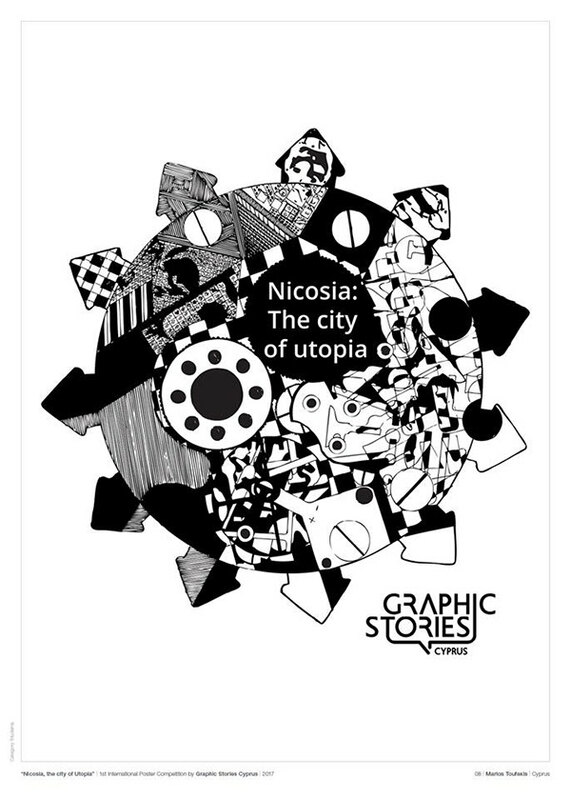 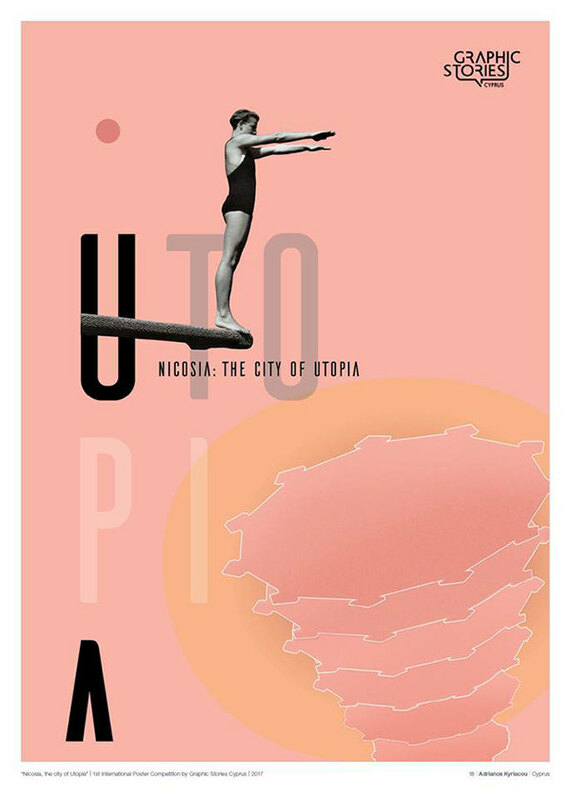 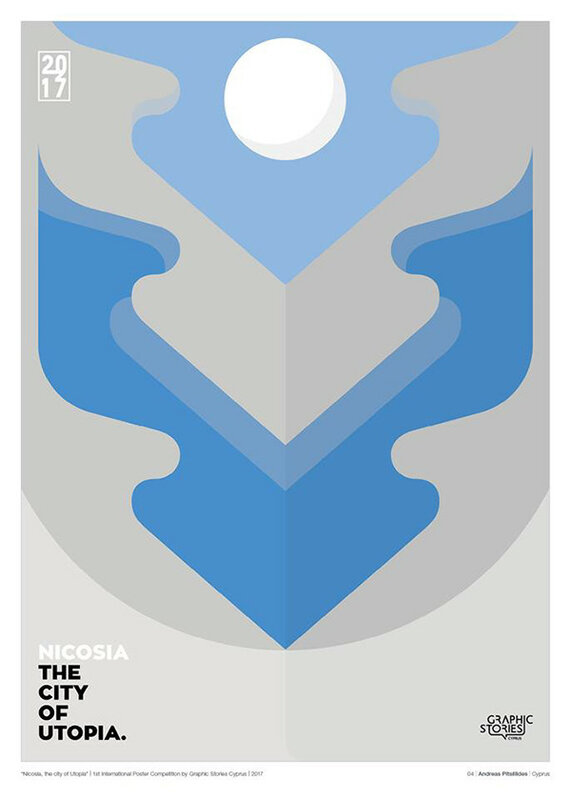 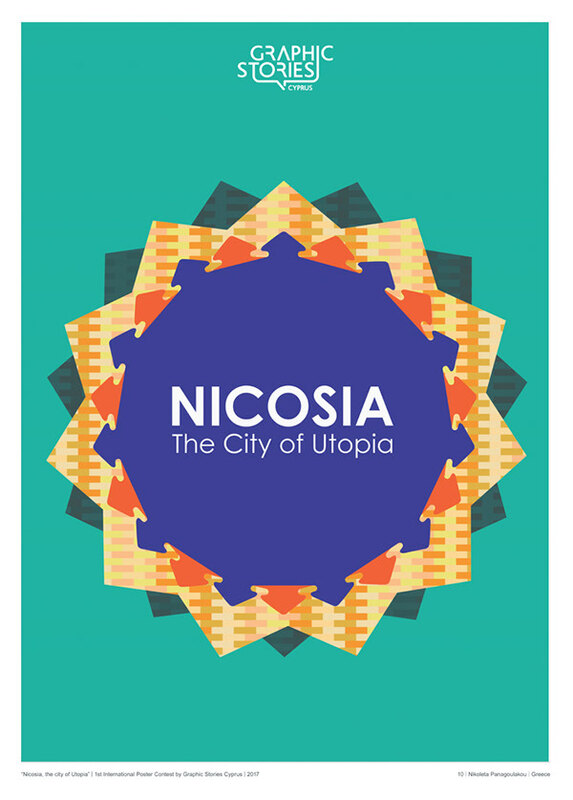 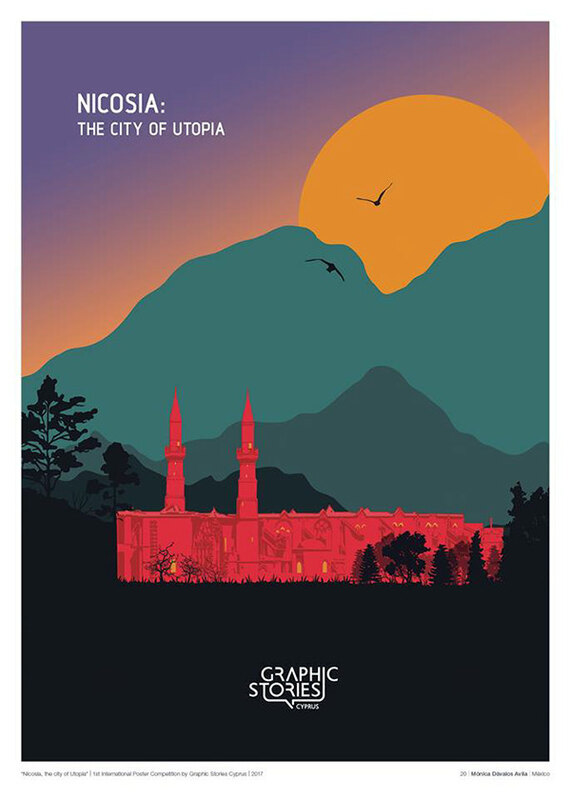 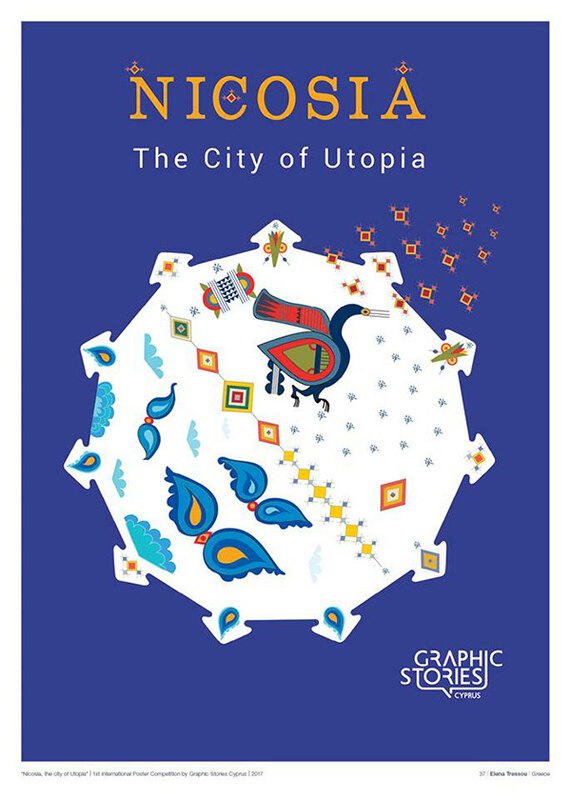 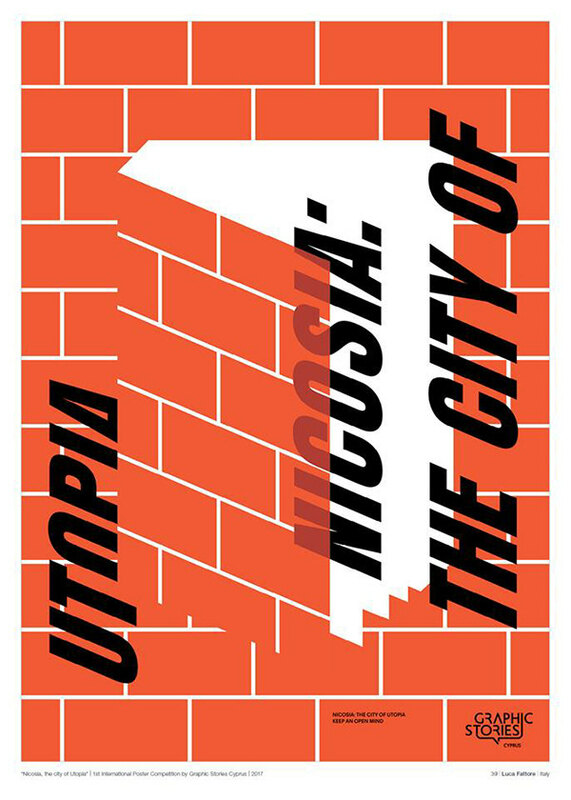 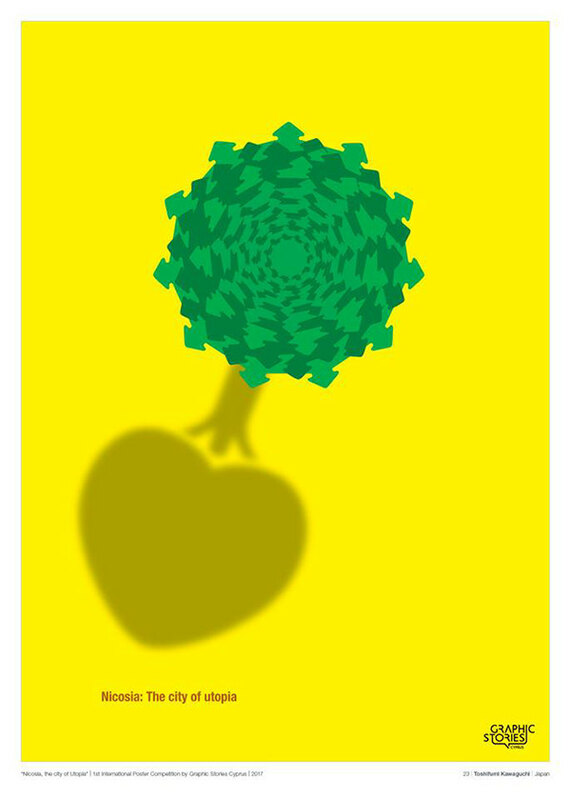 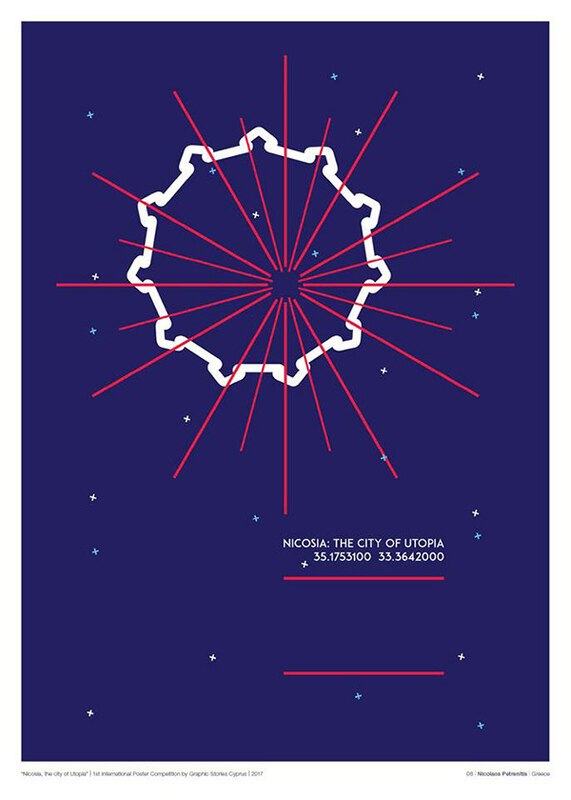 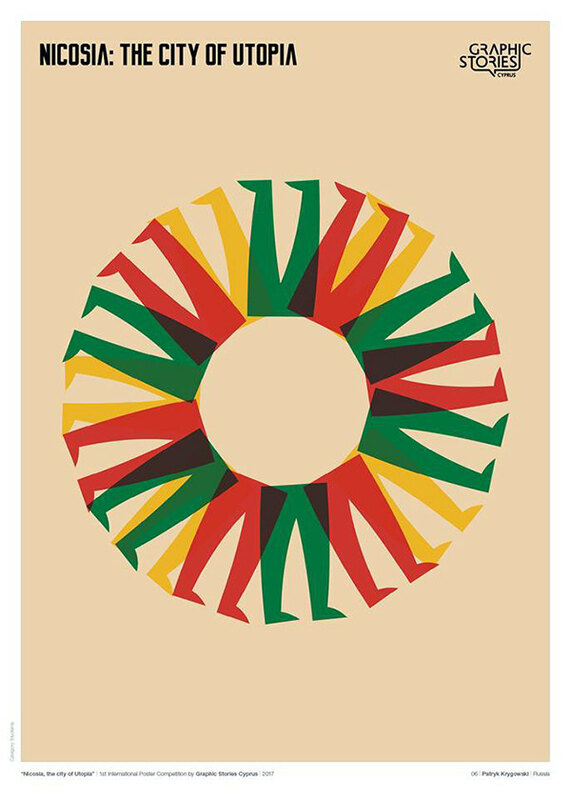 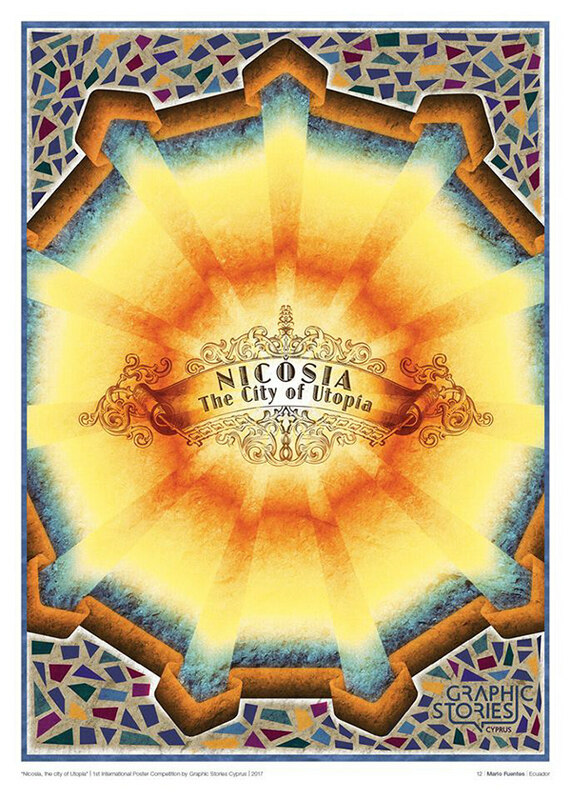 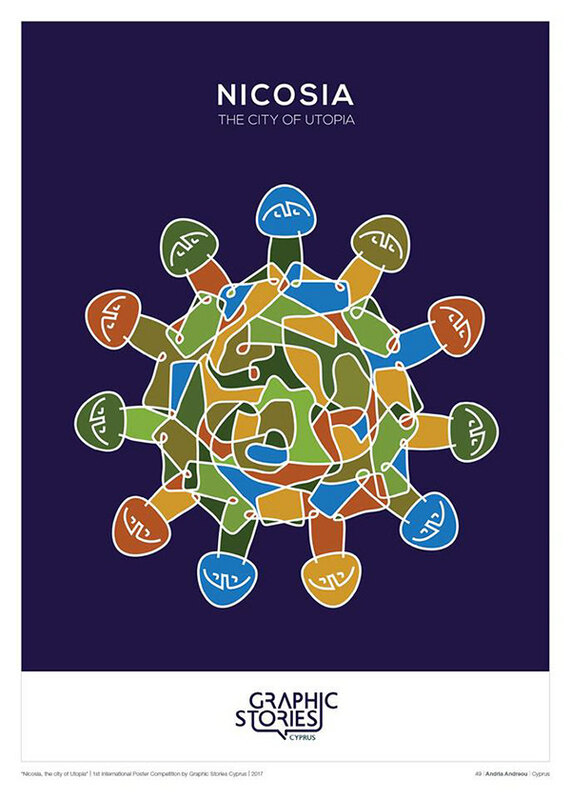 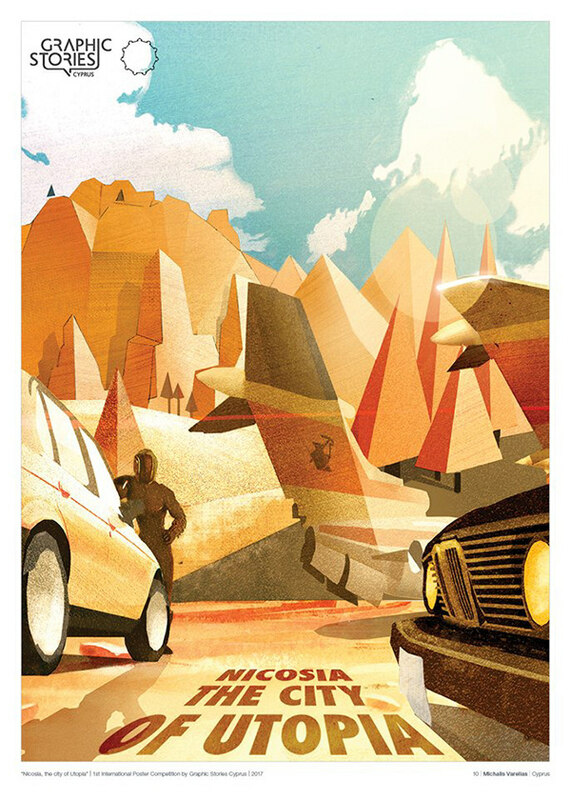 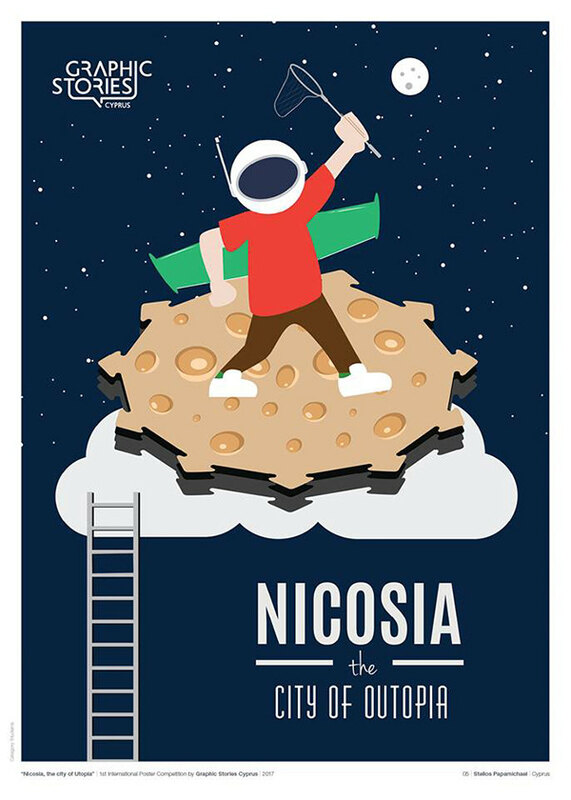 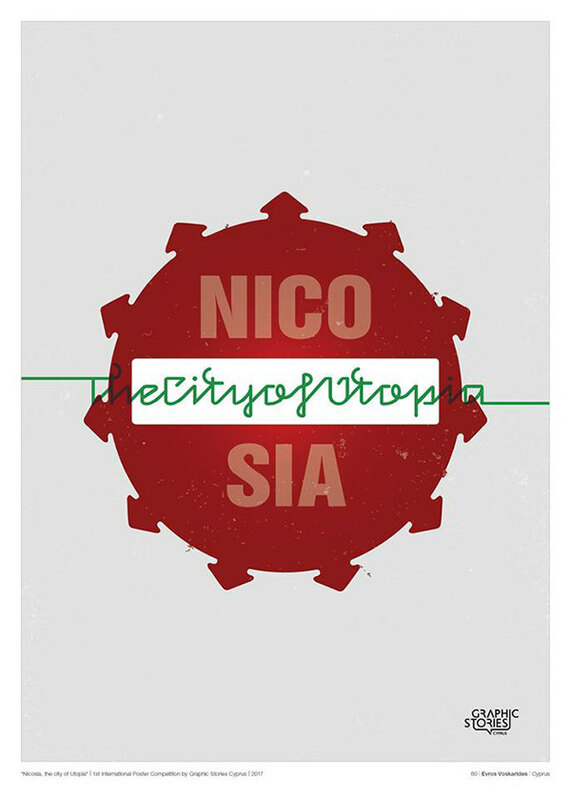 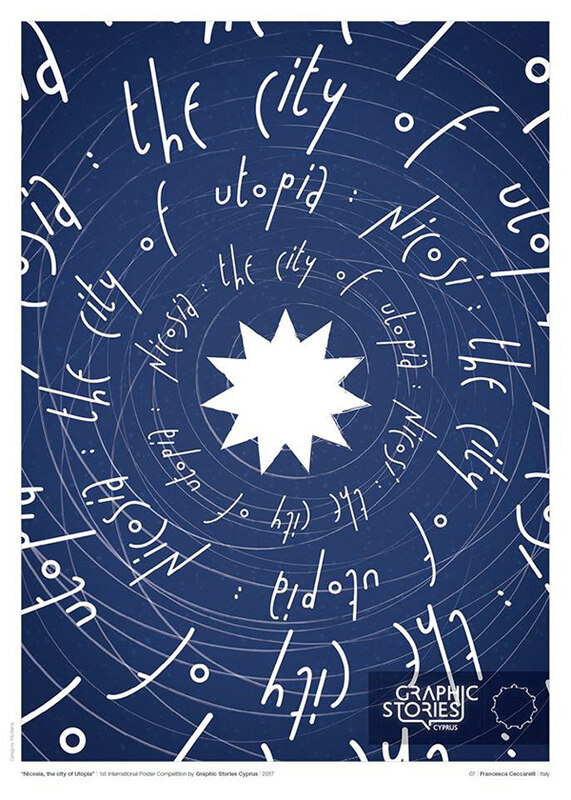 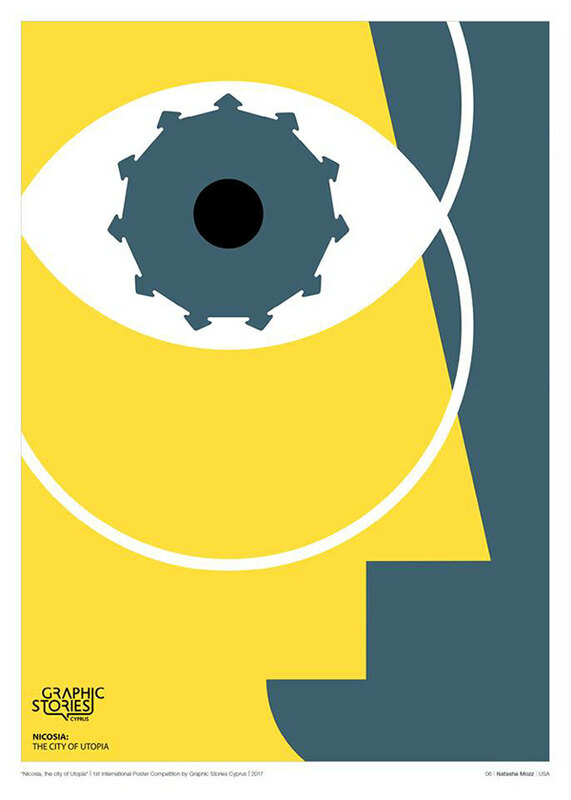 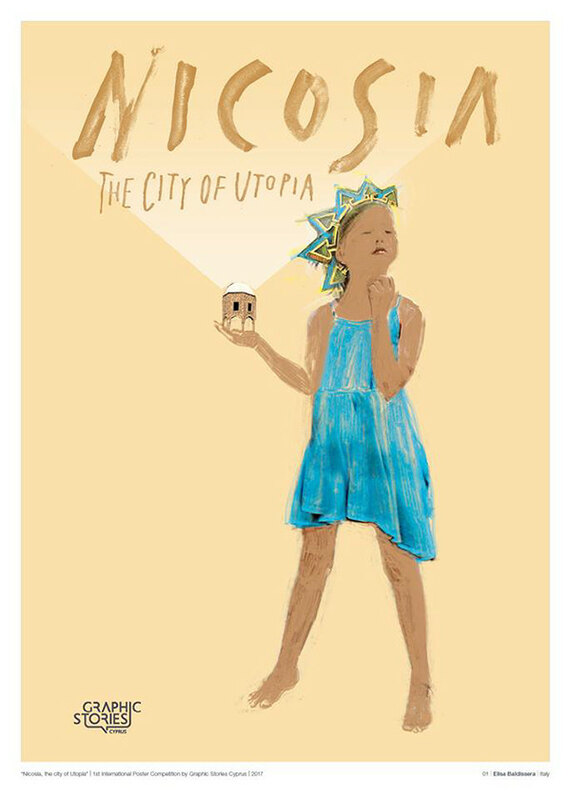 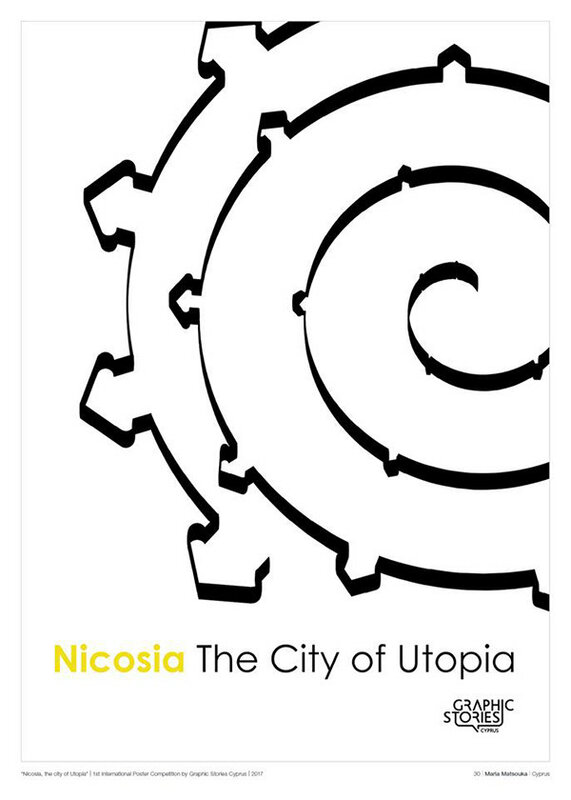 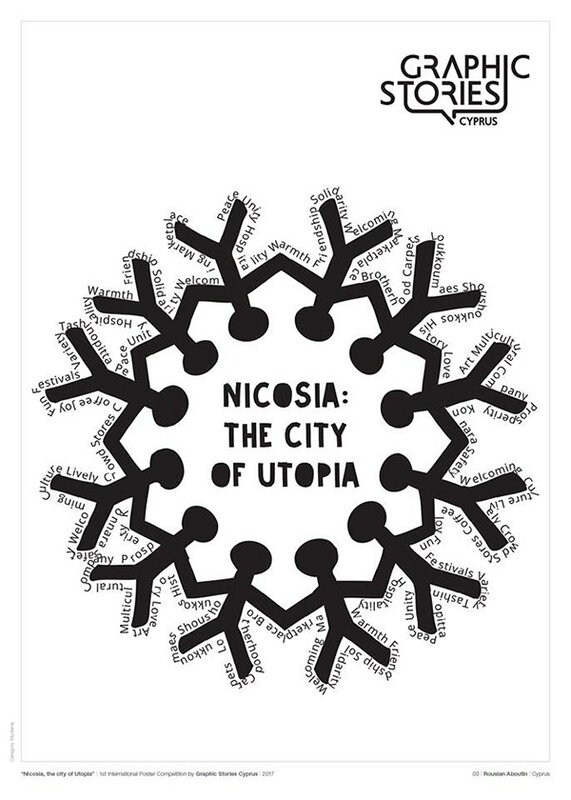 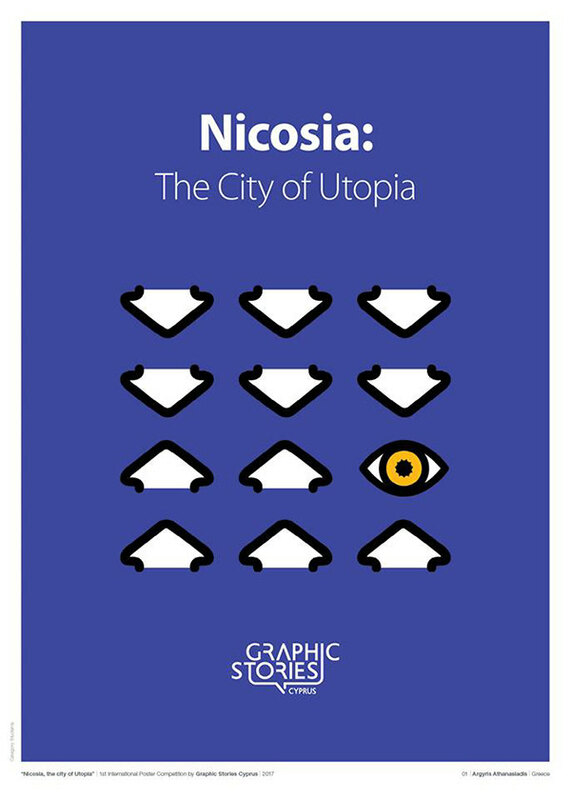 The 51 posters of the exhibition [10-24|03|2017] "Nicosia, the city of Utopia", is the title of the exhibition that included the short-listed works from the first international poster competition organized by Graphic Stories Cyprus. 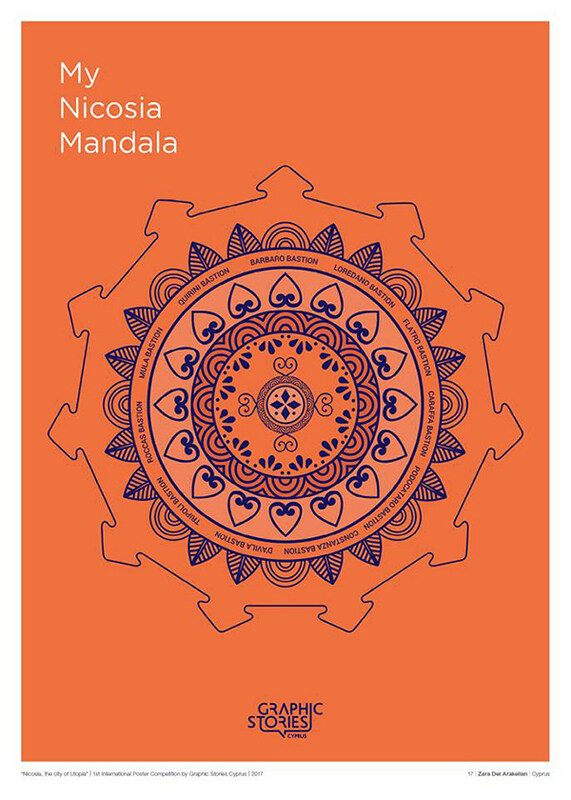 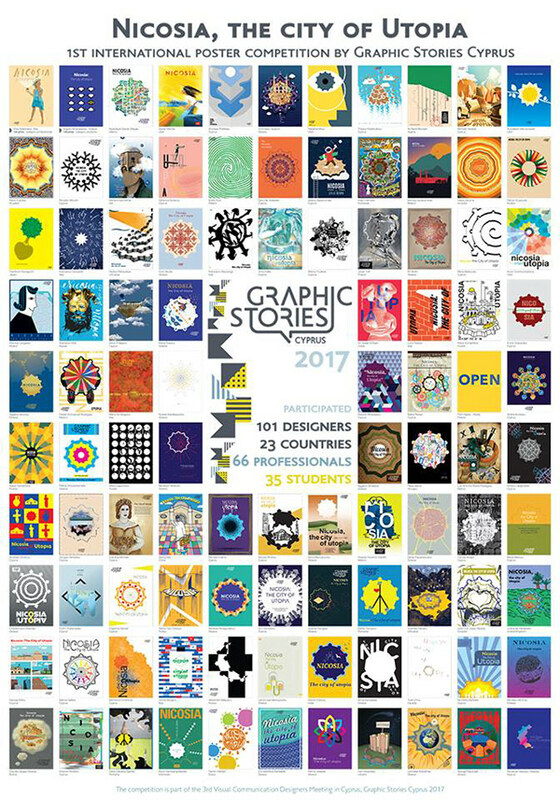 In this competition participated 101 designers from 23 countries from around the world. 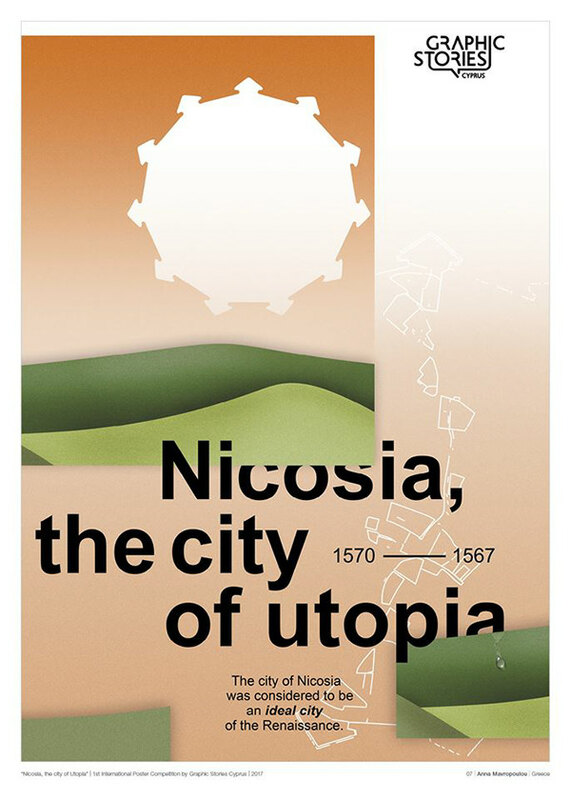 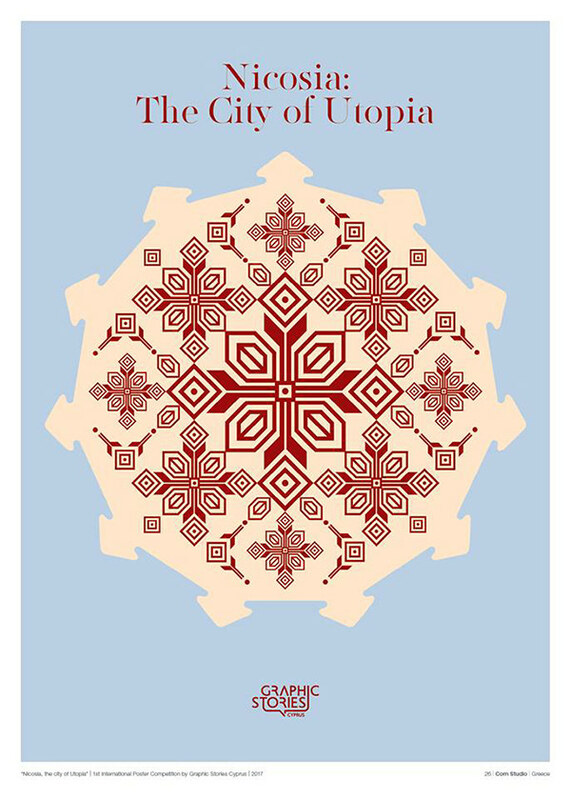 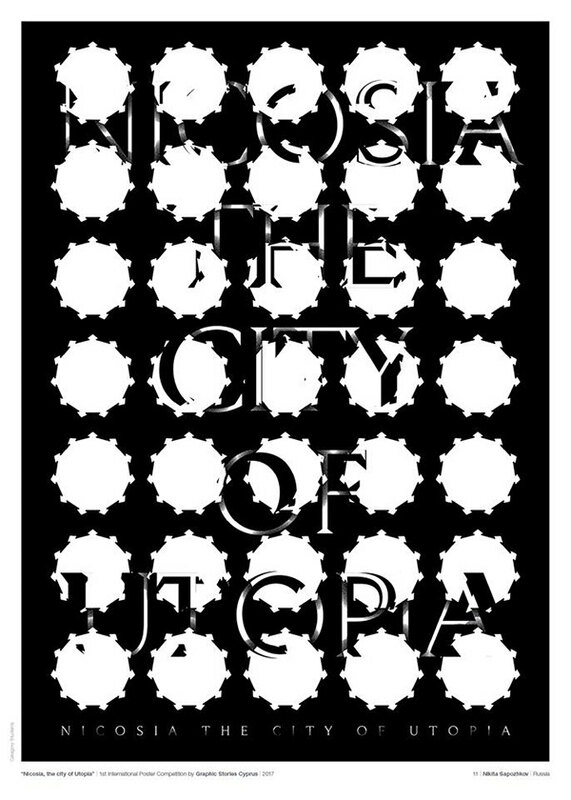 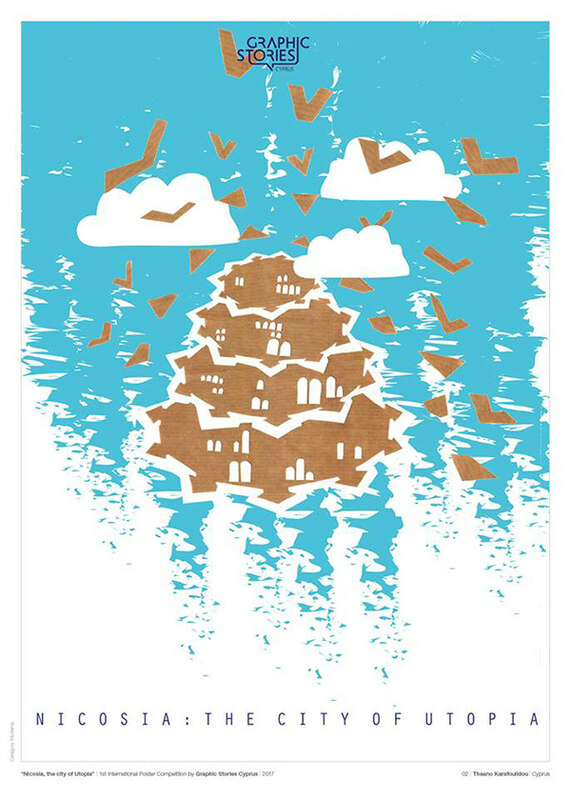 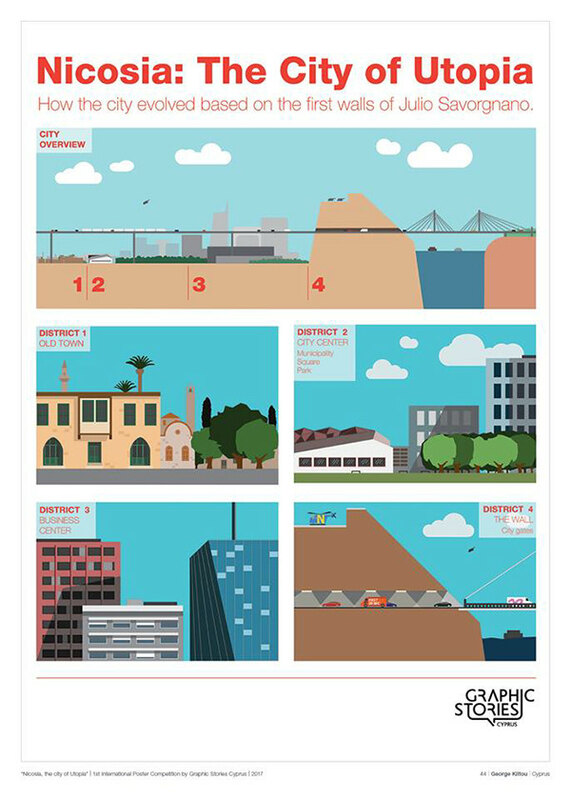 The creative idea of the competition in relation to the design of the poster, relied on the special architectural character of the fortification walls of Nicosia and in the basic principles of the utopian foundation of a society which are reflected in the Renaissance design of city. 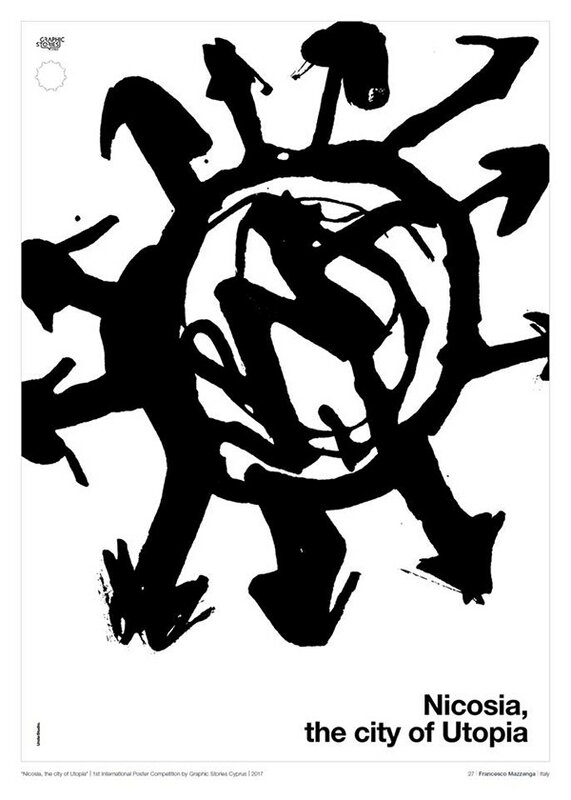 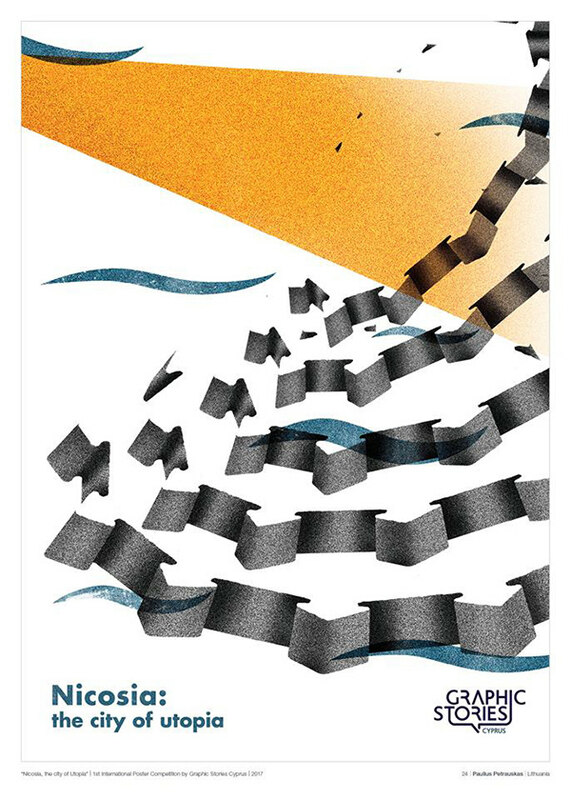 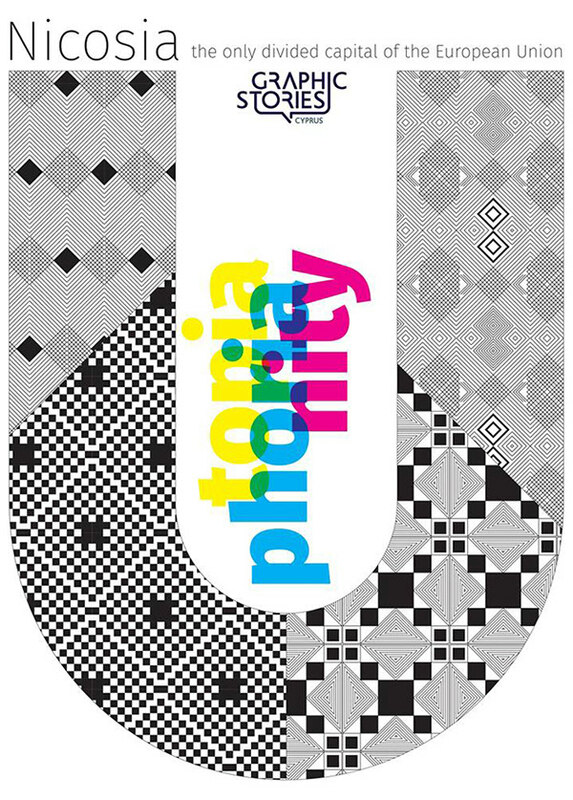 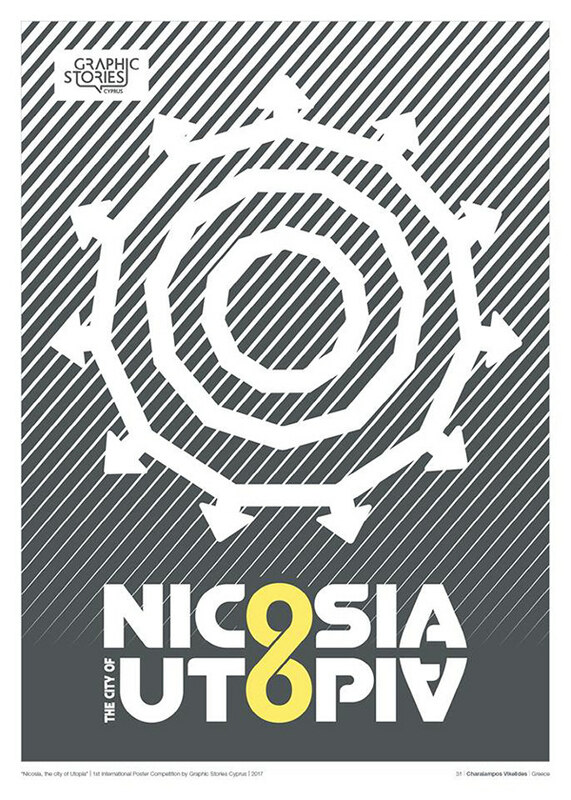 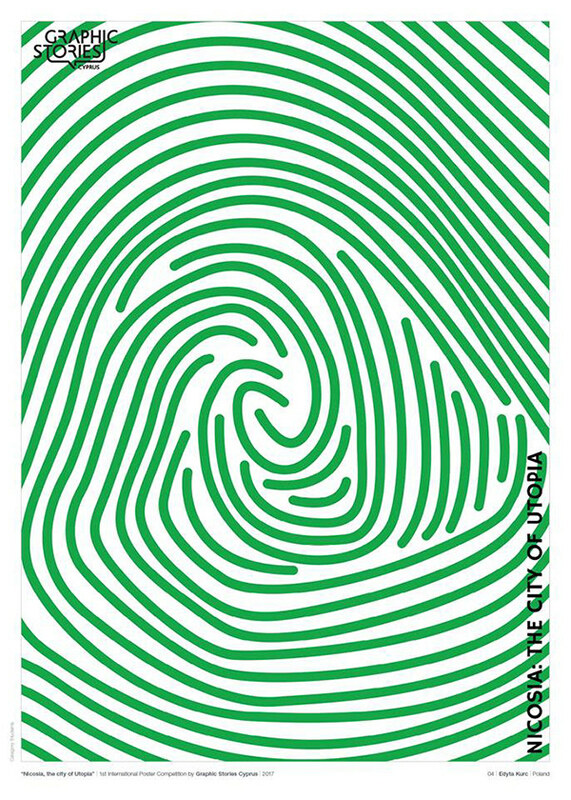 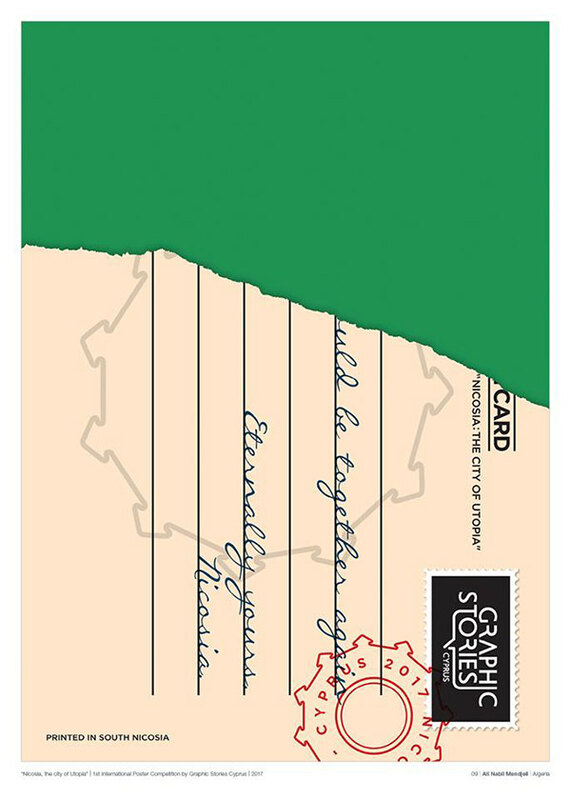 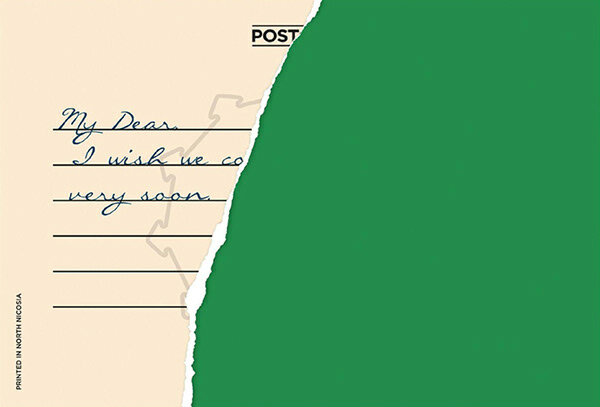 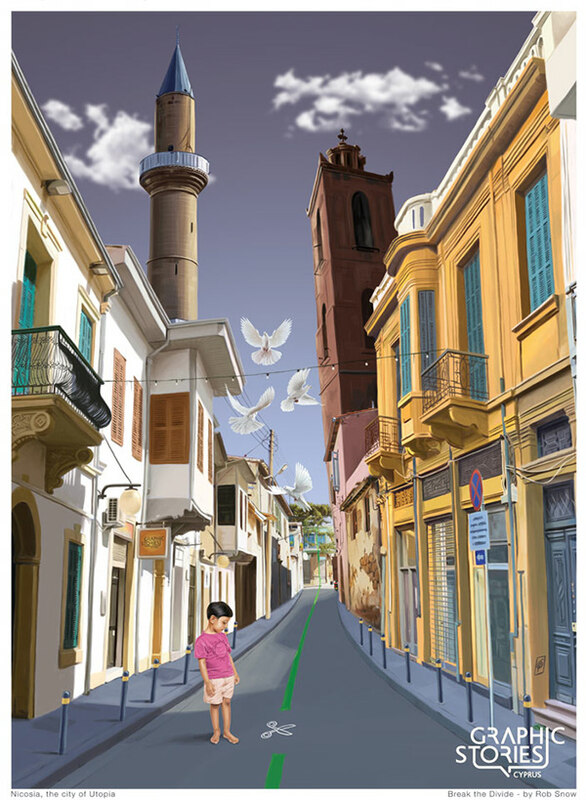 The theme of the competition, but also the corresponding exhibition are actions that have as their overarching objective, through the symbolism of the design of fortification walls of Nicosia, to view history, culture, arts and architecture of a city that was and remains to this day a crossroad of cultures, arts and literature and can sight a future without walls and without borders. 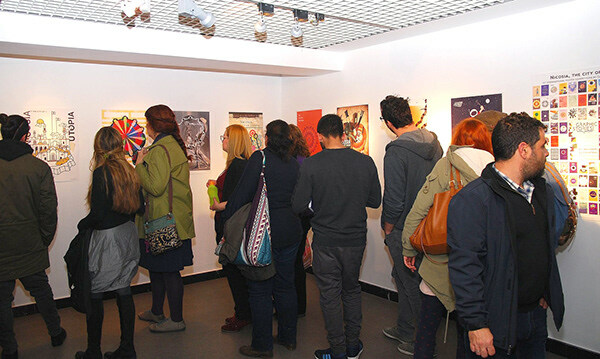 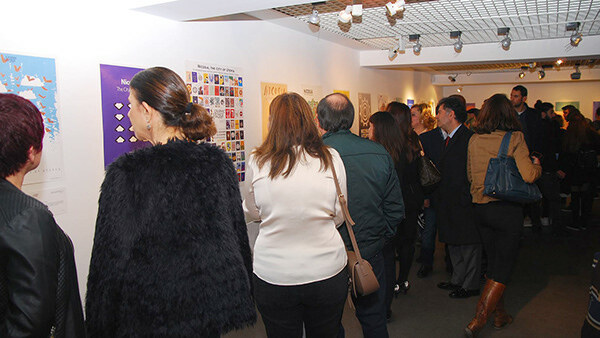 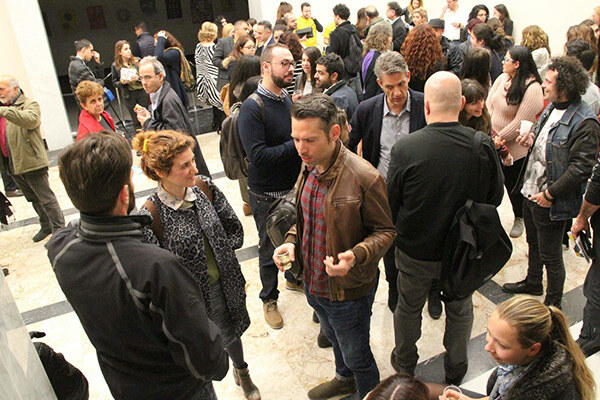 The exhibition was hosted by the Bank of Cyprus Cultural Foundation. 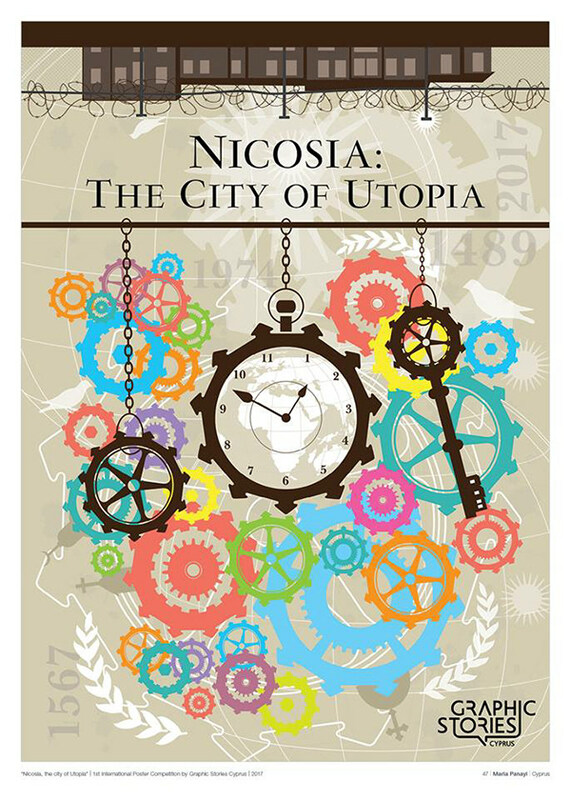 The exhibition and the award winners were presented on Friday the 10th of March 2017, on behalf of the Mayor of Nicosia Mr. Constantinos Yiorkadjis, by the municipal counselor Mrs. Toula Aniftou. 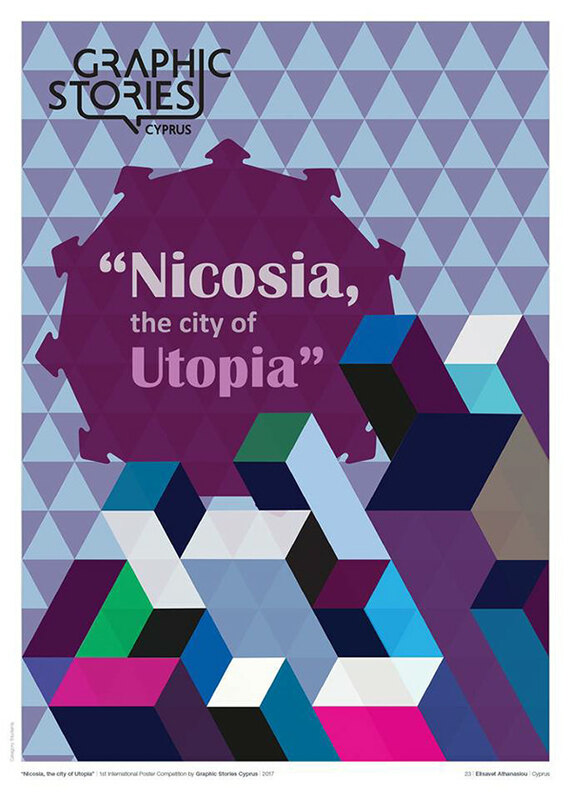 The awards were sponsored by the Bank of Cyprus and the Greek company Parachute Fonts. 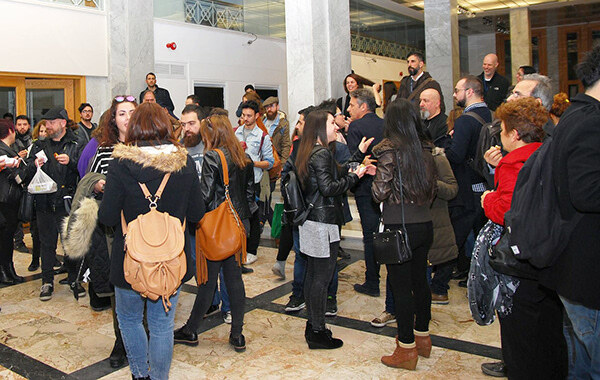 The two winners were, Elisa Baldissera, winner in the professionals category, from Italy and Argyris Athanasiadis, winner in the students category, from Greece. 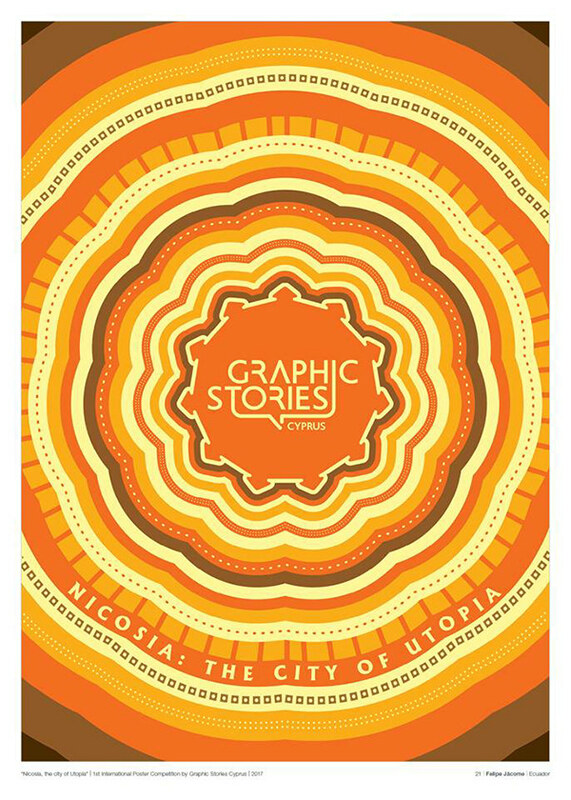 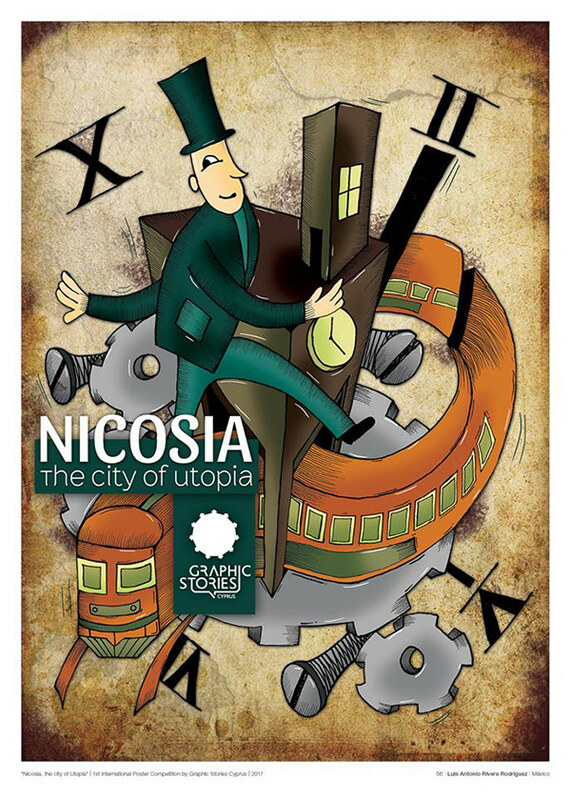 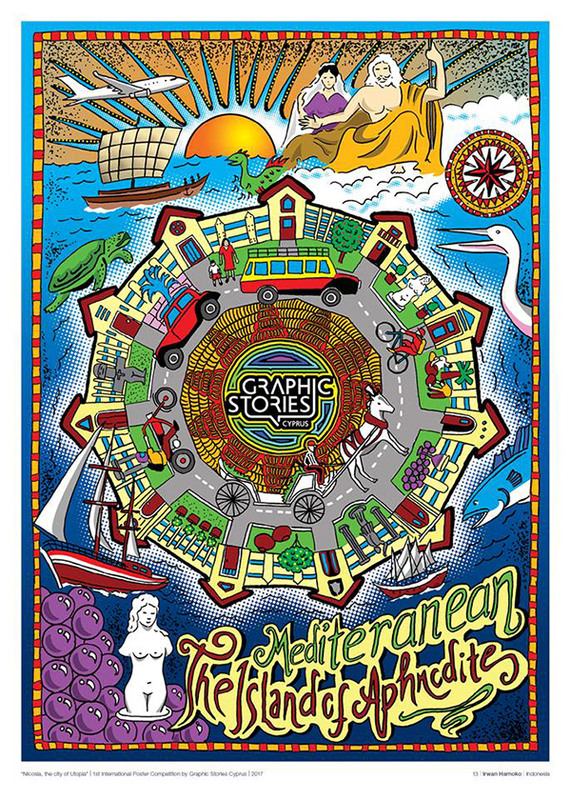 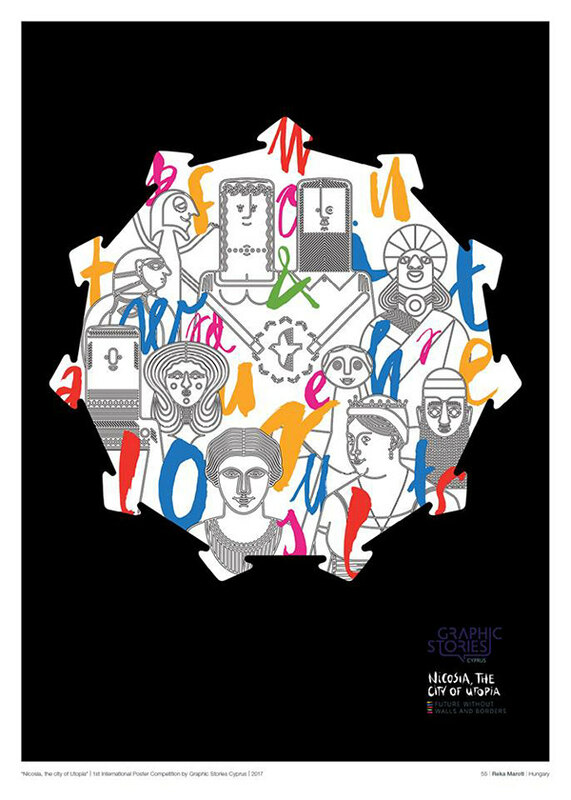 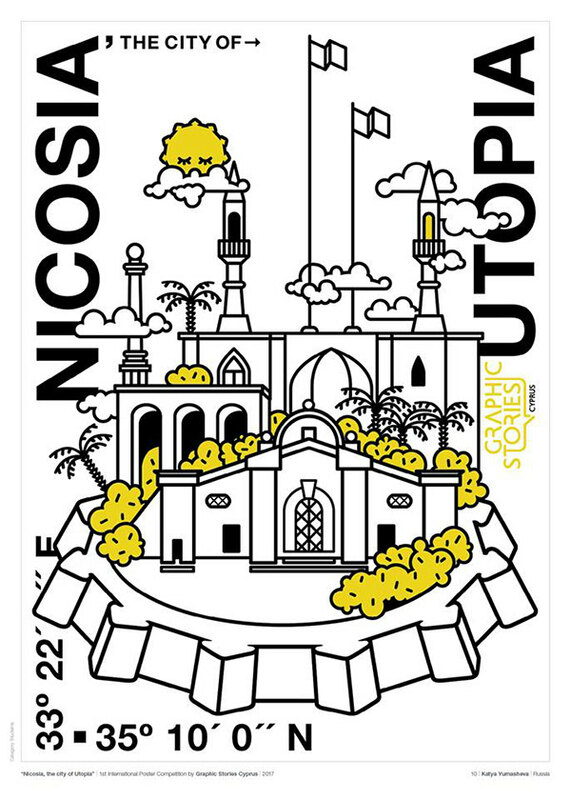 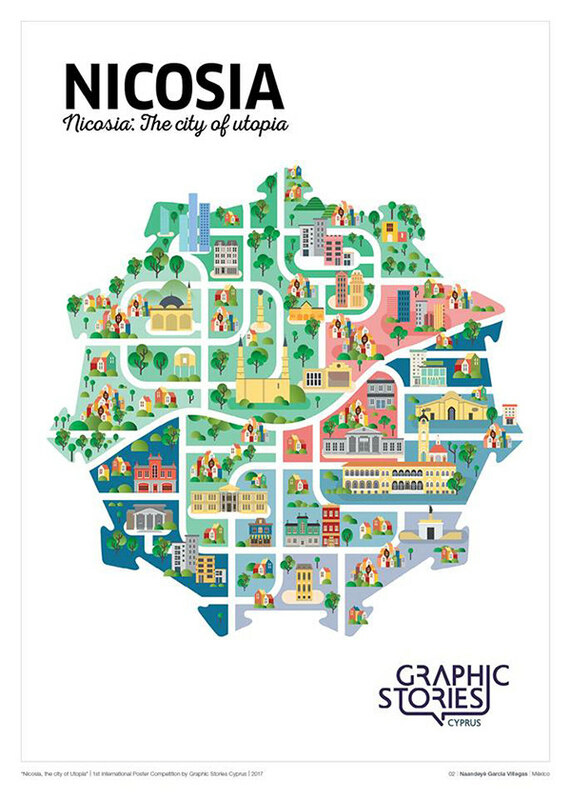 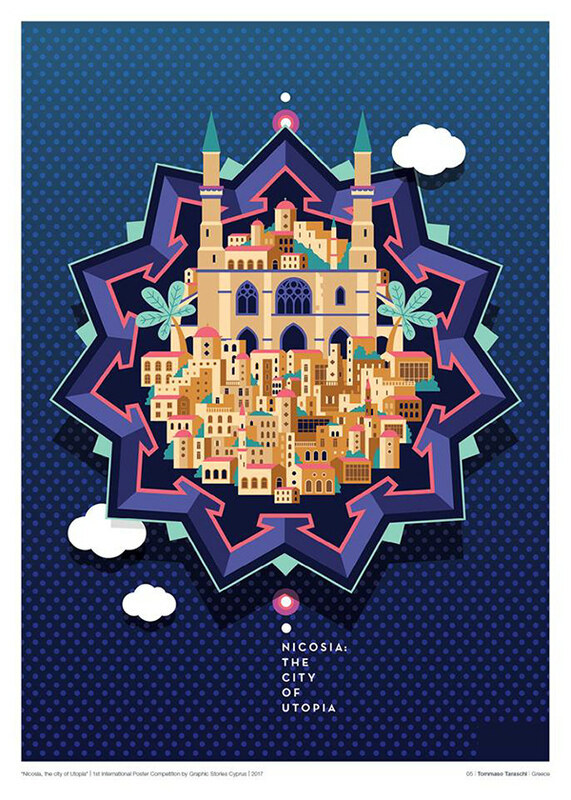 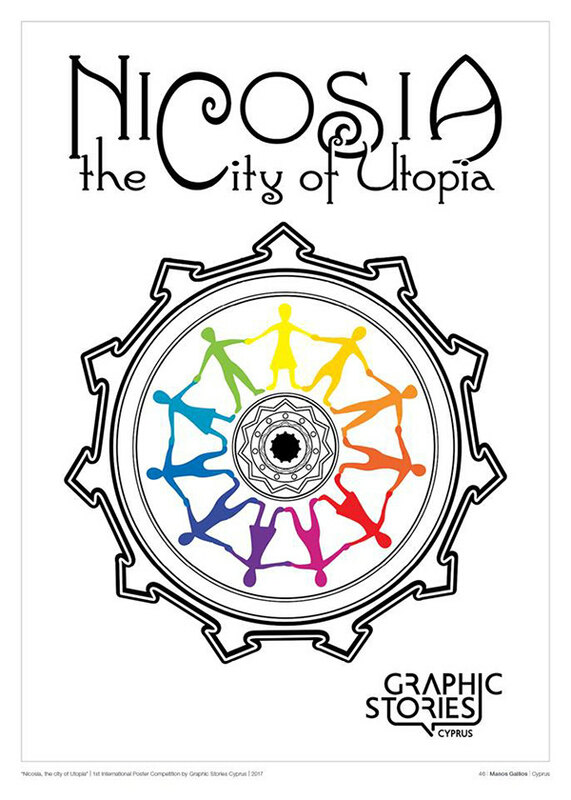 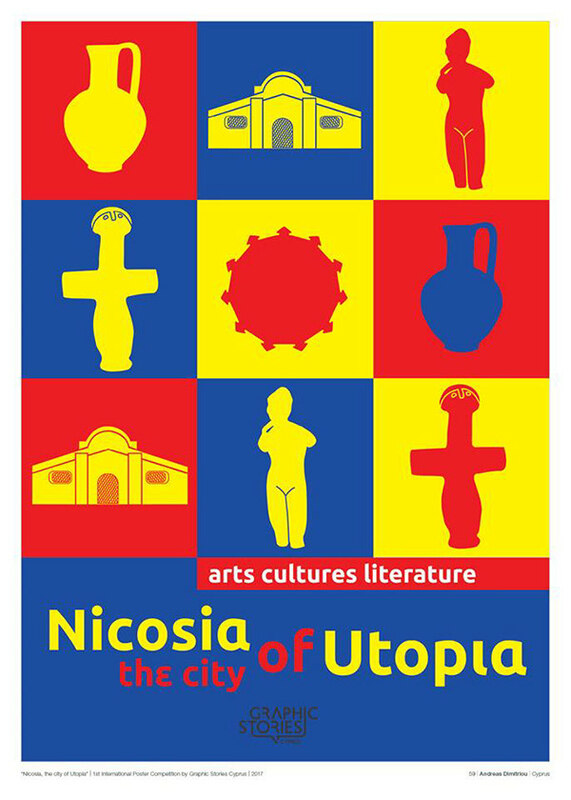 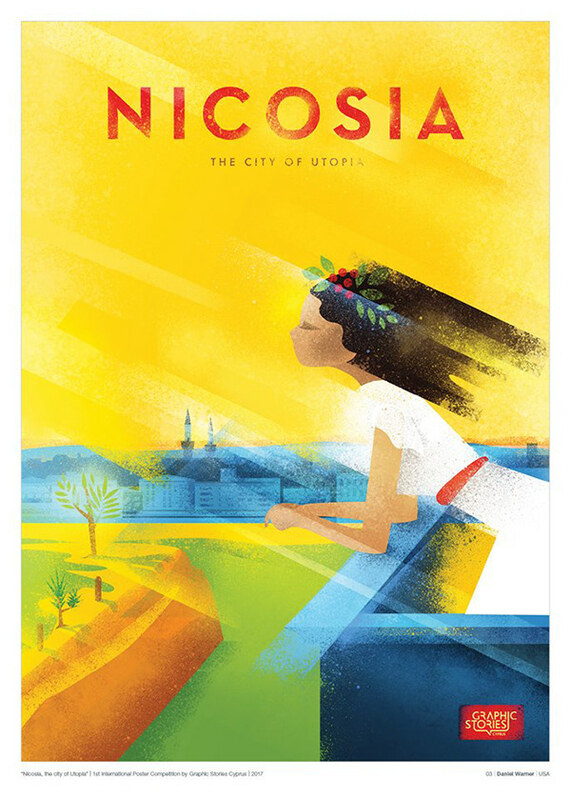 The 51 + 2 posters of the International Poster Exhibition "Nicosia, the city of Utopia", organized by Graphic Stories Cyprus 2017.